Dave Heidt is the owner/operator of Rt66Music where he specializes in the production and recording of singer-songwriters and taking bands from an idea to a CD. Though he has earned a reputation for being the band behind the singer-songwriters, he has also recorded more "well-oiled" acts, including jazz great Richie Cole. A professional musician for 38 years, and a Stan Kenton Jazz Workshop graduate, he has been nominated for nine New Mexico Music awards and carried away two—one for original composition and arrangement in the Latin category and one for production and engineering in the Blues category. Known primarily for bass, he has played and toured with numerous recording artists in the United States and Canada in blues, rock, swing and boogie-woogie, as well as jazz standards. Hailing originally from Montana, where he had a long and successful run with the Mambo Kings, he comes to NM with a richly diverse background, a gentle manner and a genuine love for the craft. 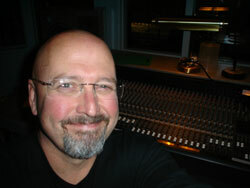 Since 1994, he’s been relied upon as one of the most musical and adept audio engineers and producers in Montana. Since 2007, he has brought these skills and his love for music to New Mexico, where he lives in Placitas with his wife and two dogs.